It's 1901 . . .
and even the death of Queen Victoria can't stop the growing excitement as Melbourne gets ready to celebrate Federation - on Rose's birthday! Meanwhile at school, Rose loves being involved in the cricket team. She's so focused on the game coming up that she almost doesn't notice Abigail acting strangely. What's wrong with Rose's best friend? And can Rose help? Join Rose in the final of four exciting stories about a Federation girl who's determined to do things her way! 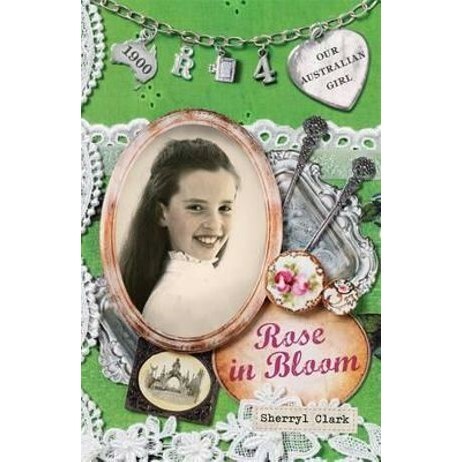 Sherryl Clark's first children's book was The Too-Tight Tutu which was published in the Aussie Bites series in 1997. Since then she has published almost 30 children's books, including Sixth Grade Style Queen (Not!) and Motormouth . She has had two collections of poetry for adults published by Pariah Press - Edge (1990) and Thicker Than Water (1999), and is a co-editor of Poetrix magazine. Sherryl teaches fiction and poetry writing in the Diploma of Arts - Professional Writing and Editing at Victoria University and Holmesglen TAFE. Lucia Masciullo grew up in Livorno, Tuscany, among smells of saltiness and rosemary. She always loved painting and after graduating in Biology she decided to pursue her dream career as an artist. In 2006 she moved to Brisbane and since then has been happily working as a fine art painter and freelance illustrator. She has recently illustrated Sonya Hartnett's The Boy and Toy.